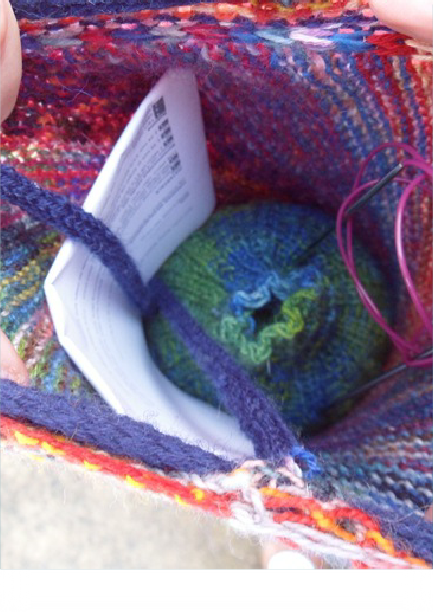 This little bag is the sock knitter’s equivalent of a patch-work quilt. 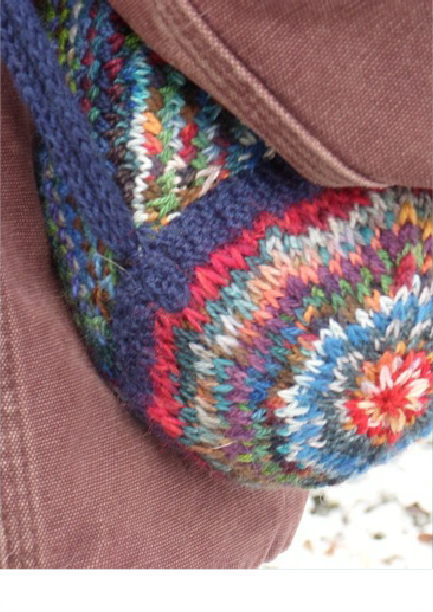 It makes use of wildly colorful, hand-painted yarns in small quantities to create a bag perfect for, well, knitting socks. Jumble is the perfect size to hold a pair of socks in progress. 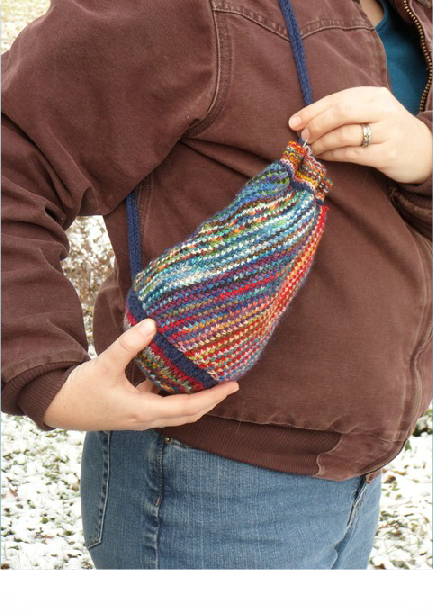 It tucks neatly over the shoulder for knitting on the go. The fabric created by the plaited basket stitch is dense and brilliantly features hand painted sock yarns. There are other features to delight sock knitters: the bag base is exactly the diameter of a 100g skein of sock yarn; there is a built in yarn sleeve to keep yarn protected from debris, needles and notions; and, the two strap cords extend into the bag and make a holder to keep a completed sock or a pattern available but out of your way. Bag pictured used 67 grams of sock yarn remnants.